Come Vibe with Lumpy Grits on April 4th and 5th of 2014, as they travel beyond and far into the galaxy. Beyond Earth and across the Milky Way, the galaxy is faced with conflict. The two Mercurial polar tribes are arranging a marriage so that the Liquid Wars may come to an end. The women on Venus are crying. The Men on Mars are “feeling some type of way”. They are partying at Saturn’s casino F.L. Chance and losing all of their money!! No one knows what to do!! One of the rulers from the outer planets is causing havoc. Come and find out who is who and what is going on! Come and join the army and put an end to this Be foolery. Can’t wait to see you there!!! Don’t forget to join us for the Culinary and Visual Artists Preshow. Wear your favorite neon color shirt and get $5 off. Email Etiquette: (Saturday, April 5th, 1pm-3pm) Struggle with the etiquette to drafting a good email? Have no worries BAC is here to help. We will walk you through correct format and a quick guide to producing effective but polite email correspondence. 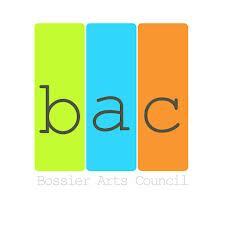 The Bossier Arts Council is thrilled to announce an exhibition featuring three local artists Sarah Brinson Kennedy, Rod Talbot, and Ashley Wachal in their East Bank Gallery. Each artist has a very distinct and unique style but all inspire a sense of Louisiana with their work. The work will be on display April 1st thru May 30th with an opening reception on Saturday, April 12th from 2-4pm. Love what makes you unique. Taylor’s Strawberry is a story about how a young girl learns to love herself despite the opinions of others. We are all born with something unique, something that sets us apart from everyone else. It may be a mole, scar, or, in Taylor’s case, a ‘strawberry’ birthmark. God makes sure that no one else has one exactly like yours. How awesome is it to know that God designed something special just for you? In this story, you will see how a young girl learns to love what makes her unique. The Author and Illustrator will be on hand to autograph books. This event is free to the public. The event will be held at the Gallery Fine Art Center (2151 Airline Dr.) Saturday, April 5th from 12-3pm.